How long ago did the Custodes get their Codex now? It feel like ages but it was only February[ish]. I recall almost immediately the Vertus Praetors jetbikes became a 'thing'. We were just about to go to GT3 and I recall on the Friday on our journey down saying to Otty how good/bad they were and G.O.D. help any of us who went up against them as their speed and durability seemed unmatched. Fast forward to the end of the tournament and Otty had had one game in particular where he said to me "two words - Custodes Jetbikes" I think he lost and they had played a deciding factor. 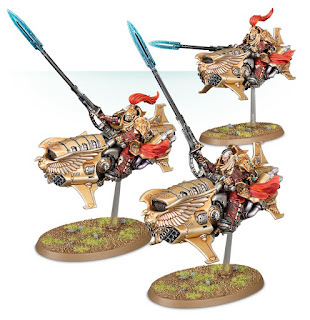 But there was another issue for those of us who run the First Legion that these jetbikes raised - what of Sammael and Corvex - the last of the jetbikes? Suddenly our special character wasn't so special anymore, these golden upstarts swooping in all shiny-like! 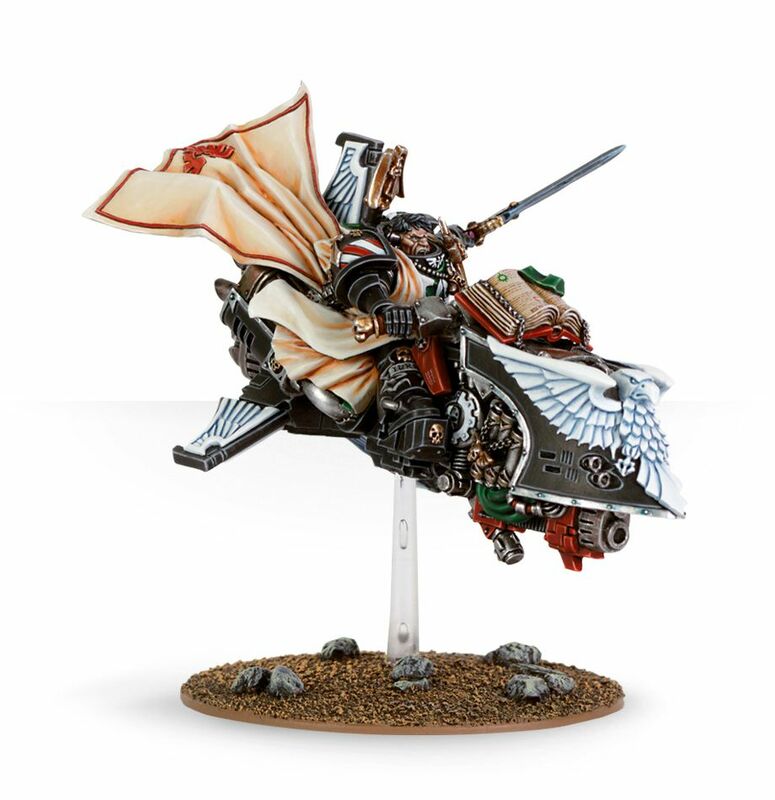 But once the righteous indignation wore off, Dark Angel owners suddenly saw the unexpected boon of this release - they were ripe for conversions both for creating the Grand Master of the Ravenwing and also the newly created Talon Master role. Of course we'd already seen a slew of Land Speeder Conversions with Ravenwing Command guys standing on the foot plate, or Land Speeder Storms where he was mounted in the Scout transport area but suddenly you could have a really cool new model that only required minimal conversion work. Seeing how straightforward these are I definitely earmarked them for future consideration. The other key factor is the cost - a box of 3 Praetors is £35 from GW, Sammael is £30 on his own with all the joys of Finecast thrown in for free! For just an extra £5 you can make up another two Talonmasters so why wouldn't you? Probably because why not just keep them as Custodes? They're so good in their natural state, they seem relatively easy to add to any Imperium force, why would you then nerf them by making them handy alongside your Dark Angels but less effective units in their own right? Every time I contemplate this question I come back to the cost effectiveness versus the Sammael model which results in the conclusion that I'd want to buy two boxes of Praetors - one to convert to Ravenwing and another to use as Custodes. Man this plastic crack really is the good stuff this time! Then again, there's nothing like having the original model... dammit!